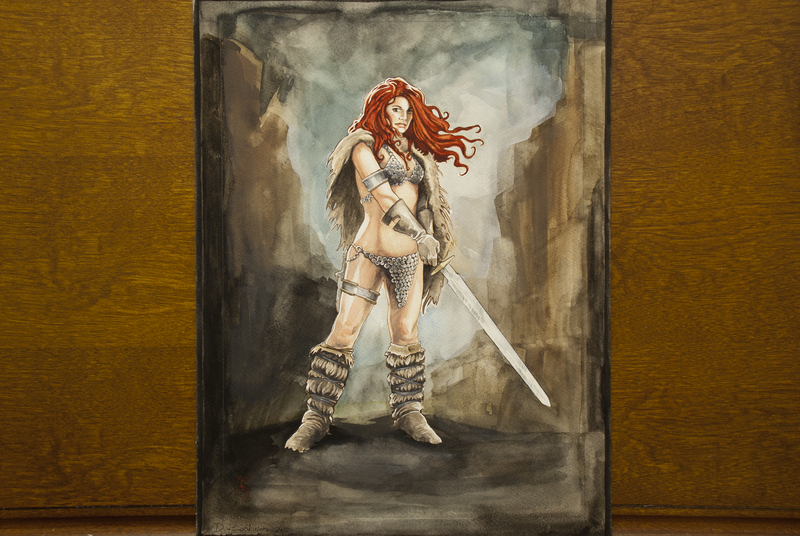 Red Sonja at the Dark Ravine. 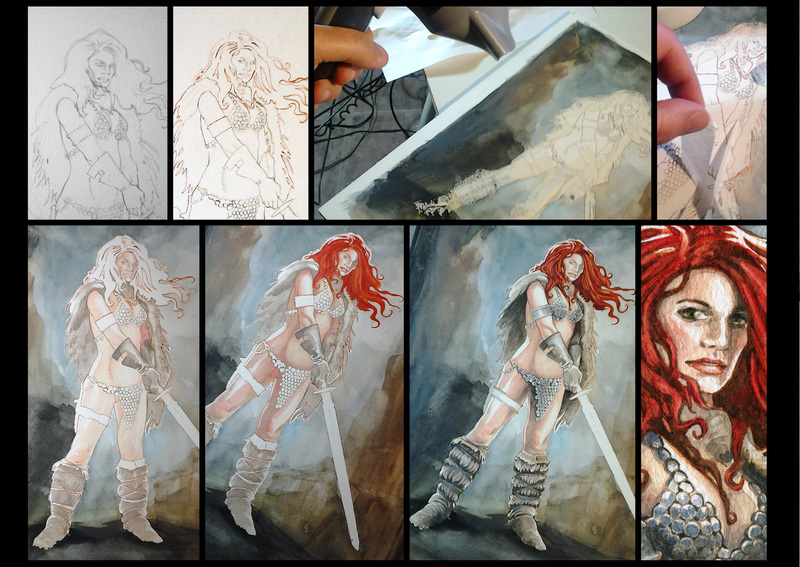 Watercolor on A3 watercolor paper. 250 euros. Click on the link to see full image.